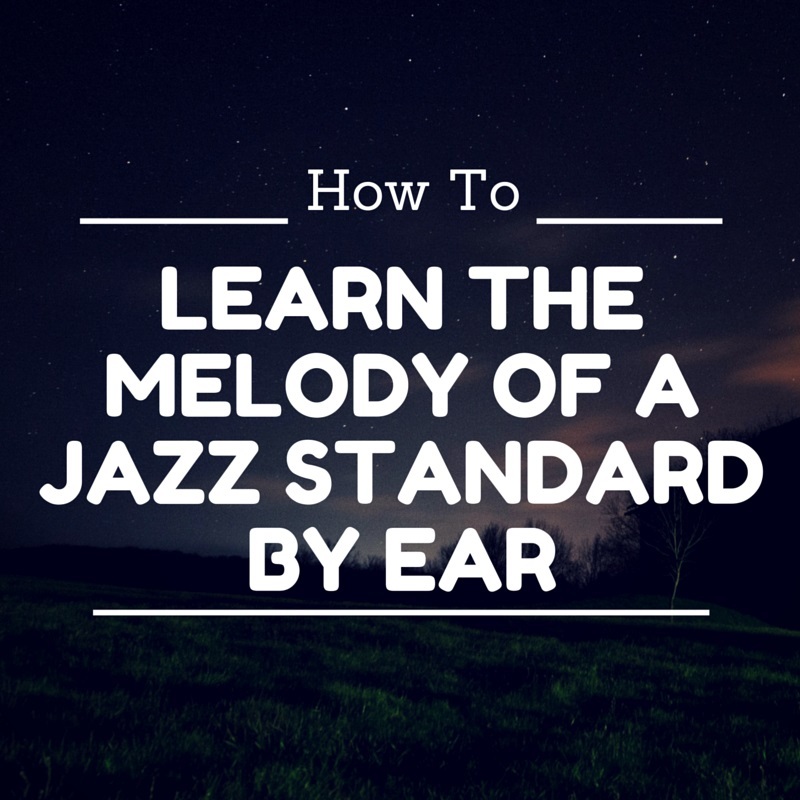 If you’ve been following us on Learn Jazz Standards for any given amount of time, it’s likely you’ve heard us talk about the importance of learning things by ear. Learning how to play musical elements by ear, as opposed to sheet music, can have massive benefits on your playing and really help you in many different areas of your musicianship! 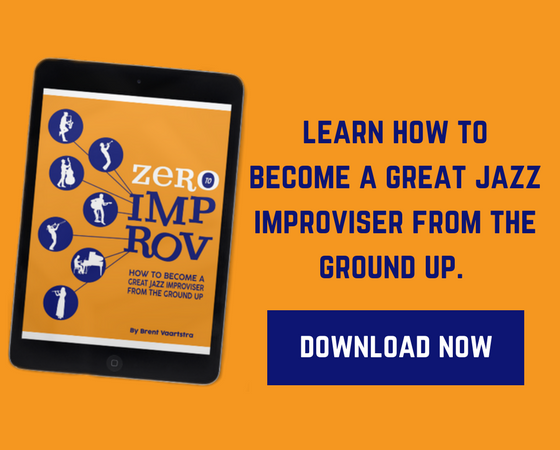 Not only will it help you memorize or internalize the music better, it will improve your improvisation so that you are better able to play what’s in your head rather than what you know on your instrument. For jazz musicians, learning things by ear is an essential practice and probably one of the most important! 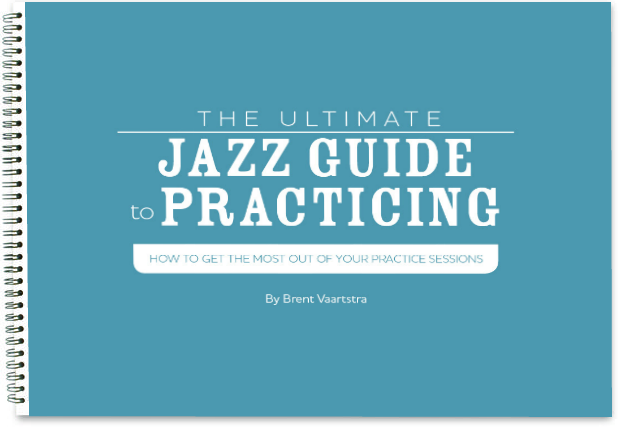 When it comes to learning jazz standards by ear, we get a lot of questions from readers on how to best go about doing that. Some people are new at learning music by ear and it takes some extra practice! Others run into issues such as not being able to identify the true melody due to many recordings playing it differently. 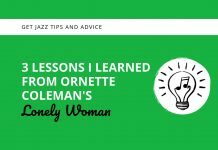 So today I’m going to narrow in on just one aspect of learning a jazz standard and talk about some simple ways you can learn the melody by ear. Put down your instrument and listen. The first place to start when learning the melody to a jazz standard is to check out lots of recordings. This may seem like the obvious first move, but too often this is not what happens. 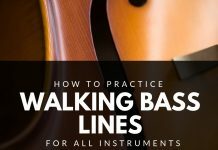 An alarming amount of people skip this first step and just immediately start trying to translate a melody to their instrument that they’ve barely even heard. Don’t make this mistake! 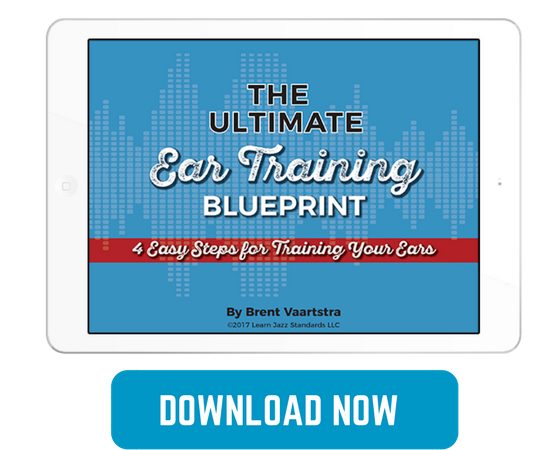 You will make your job so much easier by listening to lots of different recordings of that song, especially if done over the course of days or even weeks. This will help you internalize the melody so that you already know it before you reach your instrument. Listening to many different versions of a tune is now easier than ever with services such as Spotify or even YouTube. The resources are out there so dive in and take advantage of the times! Now to answer a frequently asked question in this regard: How do I know which recordings have the “correct” melody? Go to the source. If you know a song was written by Sonny Rollins it would be a good idea to check out that version to get the most accurate melody. If a jazz standard is derived from an old Broadway show or film, like so many of them are, try to look up a non-jazz version from that show or film. For example, if I wanted to learn My Shining Hour, it would be a great idea to watch the original clip from the 1943 film “The Skies The Limit”. By the way, if you want to know this kind of information, check out our Index of Jazz Standards. For every song we include a bio which talks about who wrote it and where it comes from. Know your jazz musicians. Some musicians are notorious for taking lots of liberties with melodies and others are not. Two jazz musicians that make a great contrast are Billie Holiday and Frank Sinatra. Billie Holiday messes with the melody a lot and it would be a bad idea to listen to her with the intent of learning an accurate version of a melody. Frank Sinatra on the other hand almost always sings the melody straight. In fact I would highly recommend learning melodies from Frank when you can. He’s a great resource! Miles Davis is another one to try to avoid, unless of course you are trying to learn one of his songs. Know who to listen to for feeling and who to listen to for accuracy. I consider this to be one of the best ways to memorize a melody hands down. If you are an instrumentalist don’t overlook listening to vocalists sing the song! Lyrics are memorable. If you spend any decent amount of time listening to the lyrics of a song you are bound to memorize at least parts of it. The human brain has a sponge-like effect when it comes to the pairing of words and melody. Take advantage of this and learn the lyrics. It will help you internalize the melody and often times it will reveal the story or intentions of the composition as an added bonus. Again, Frank Sinatra is the perfect vocalist for getting an accurate melody with a solid interpretation of the lyrics. Now of course not all jazz standards have lyrics. Bebop tunes for example often don’t have lyrics. In this case you won’t be able to use this tool to help you. If it’s a really fast, notey bebop melody it can be a great idea to use a slow-downer and listen to it at a slower speed (By the way, we are currently developing our own slow-downer tool just for this website! Keep an eye out for it in February of 2016!). Notice that you still have not touched your instrument! The instrument will only get in the way of internalizing the melody at this point. The best test of whether you know the melody really well or not is if you can sing it. I highly recommend that you do not skip this step. Remember: if you can sing it you can play it. Don’t move on until you have accomplished this! This is the part where you take the melody that you have internalized and translate it to your instrument. Take note: you should not be listening to a recording while learning the melody on your instrument! You shouldn’t need to at this point. You should have the melody so ingrained in your ear that all you need to do is find the notes on your instrument. It doesn’t matter what key you want to play it in, you will have the melody so stuck in your ear that it will be easy to find the notes. I think that the reason so many musicians struggle with learning a melody by ear, is because they are trying to learn a melody on their instrument and not with their brain. The instrument is not a living, breathing, thinking thing, but you are! Think of your instrument simply as a tool to express ideas. The same as a cellphone will help you speak to a friend who is too far away to hear you, your instrument will take the music in your head and bring it out into the universe.